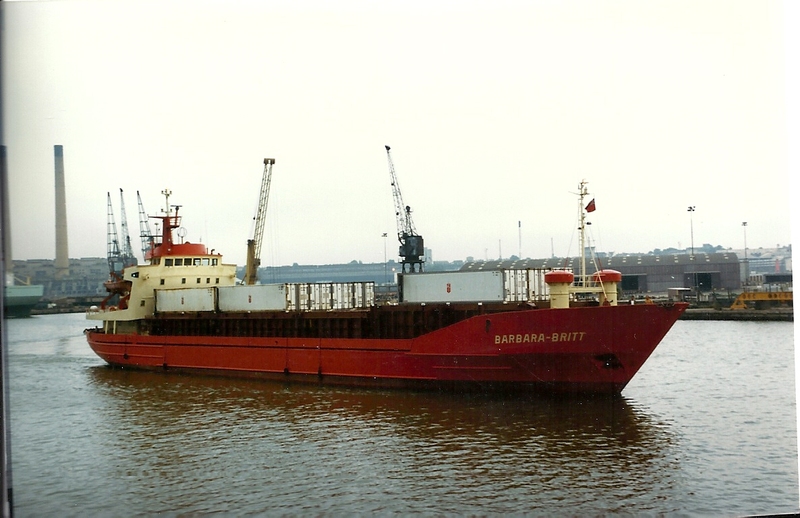 The coastal vessel BARBARRA-BRITT in Tilbury Docks. The small container ship BARBARA-BRITT (499 tons gross) was built in 1975 for German owner Hans Schirren, of Hamburg. For much of its time with Herr Schirren the vessel was registered in Austria. After a couple of changes of owner and name, she was broken up at Aliaga, Turkey, in 2013.